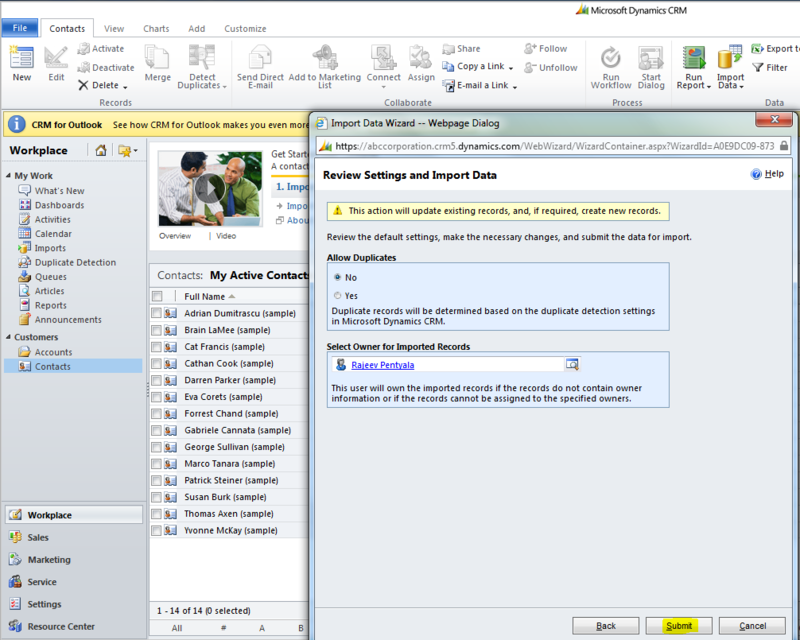 In CRM, you may come across scenarios where you need to Update/Insert a very large number of records very quickly. In these cases, opening each record’s form to make the change can be time-consuming. 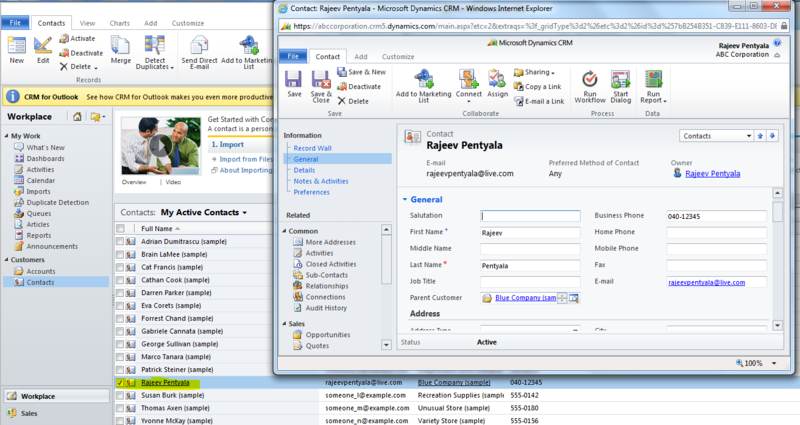 We can handle this better by using CRM Data Import feature by which we can make bulk Update/Insert very quickly. Below are the steps to achieve this. I am using ‘Contact’ entity for this article. 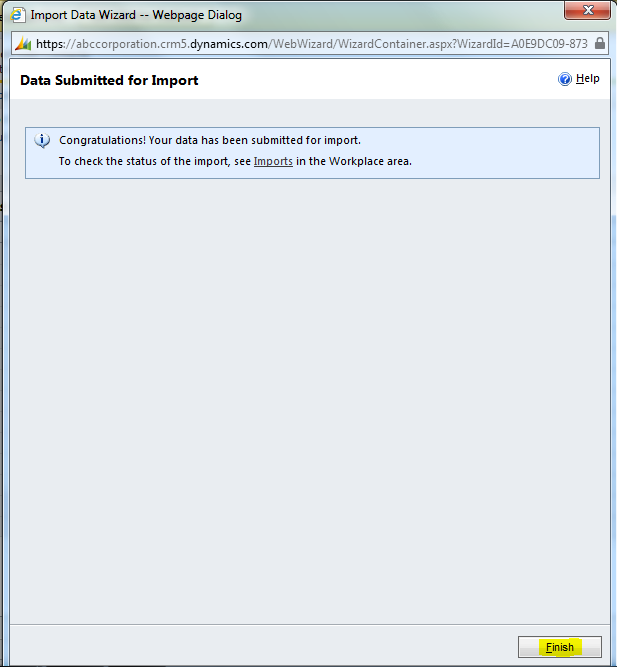 In the “Export Data to Excel” dialog box which comes up, Select “Static worksheet with records” and check the “Make this data available…” check box. * This Excel file has some unique characteristics which simplifies the data entry and re-import process. * As you click on each cell, you will notice a pop-up that tells you format of the data and whether the field is required or not. * Required fields are not enforced in Excel (i.e., Excel won’t validate even if you miss the value in required cell). * If you miss a value in required field cell, the record wont be updated in the import process. * You can enter “Lookup” values also, but the values must match with parent record. 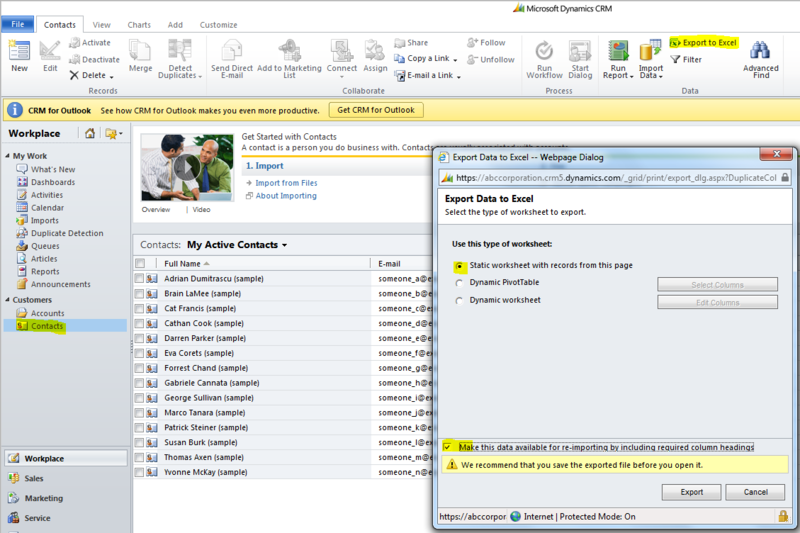 For example, In this Excel “Parent Customer” cell is a lookup to the “Account” entity. So i need to give “Account” full name in the cell. Next, I want to insert a new record “Rajeev Pentyala” to my contacts. – We can create new records by entering them in the bottom of Excel. (***Be sure to fill all required fields ***). To verify your import finished successfully or any problems with it. 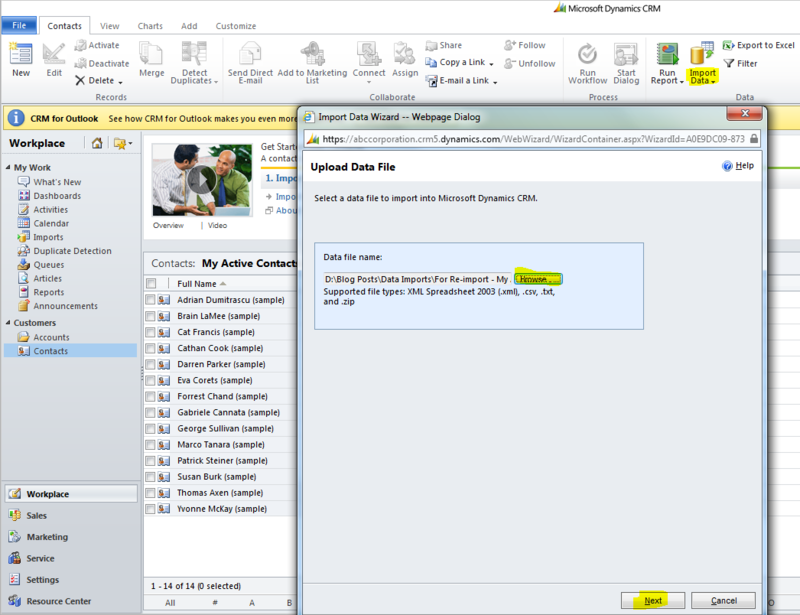 This article provides you a basic knowledge about Data import from Excel. I’ve used the function above to great effect – but what I really want to do is to be able to update my contacts with a file that was not originally exported from CRM. For example, we use an external company for email marketing and when they hand me a file all I have is the ContactId (a unique identifier for each contact) so if I try and import new information to lots of old contacts it gets thrown out as a duplicate (we have duplicate rule that won’t allow two contacts to have the same email address). I get lots of into about what each contact did with the emails we sent them and I want to be able to stamp each contact with that info – but it usually means a full export of the contacts (for re-import) and a lengthy process to VLOOKUP between the two files so my export has the info that my new file has. Is there an easy way to tell CRM that I’m just ‘updating’ contacts, not creating them?